Imagine you’re alone and walking home from a friend’s party or from your car late at night. The street seems very quiet and almost a bit eerie. You hear a scuff of shoes on the street behind you, and you turn to see a person following you. We’ve all been there and begin to wonder, what happens if this person is dangerous and moves for your bag or wallet or worse your body? When we think about defending ourselves, we typically think of our attacker as our enemy. The state we fall into is usually one of violence and opposition, which can cause harm to our own person and/or others around us. Aikido, a Japanese modern martial art, was designed to redirect the opponent’s energy and neutralize an attack, thus shielding all involved from force. 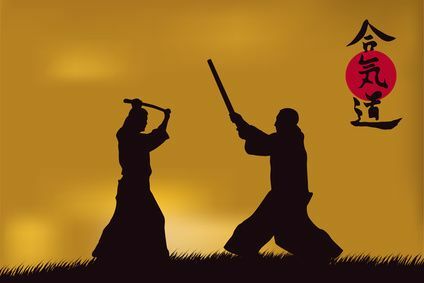 A master of kendo and Japanese philosopher, spear-fighting, and jujitsu, Morihei Uyeshiba developed Aikido in an effort to steer away from the violence of martial arts. The practice is defined by powerful and fluid movements. No matter your size or strength, this is a great practice of self-defense because it doesn’t rely on strength, but rather leverage. This allows you to use skill and not a lot of force. These exercises are excellent for athletes or really anyone that is trying to further their coordination and reflexes. By having the ultimate goal be mental, physical and spiritual integration, Aikido helps dealing with the stresses of daily living and creating a better sense of well-being. Starting February 3rd, the Eau Gallie Civic Center (1551 Highland Avenue Melbourne, FL 32935) will be offering this non-competitive and cooperative way to exercise. Classes are $40 for residents and $48 for non-residents. They will run every Monday and Thursday, 7:30-8:45pm for the month of February. The class is good for anyone over the age of 12 interested in learning Aikido. For more information, call (321) 255-4608 or visit here.